Sorry I’m a little late this month, but I’ve got some March visiting Teaching printables for you! You can find the March Visiting Teaching Message here: The Attributes of Jesus Christ: Long-Suffering and Patient then scroll down to download the printables using the link below. You can download all of the February 2015 Visiting Teaching Printables by clicking the link below. They’re available in a printable PDF document and in JPG. Simply print at home on white cardstock or at your favorite photo lab. 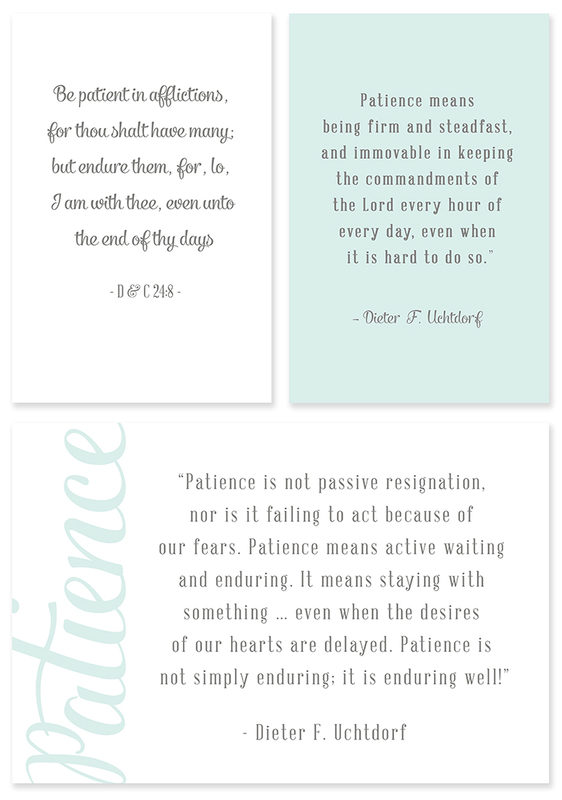 If you enjoy these quotes please tell your friends where they can find them by sharing via Pinterest, Facebook and Twitter! Thank you so much! I link up with these fabulous blogs. Nicely done! Thanks so much for sharing. Thank you for these! It’s perfect timing. We’re going out tomorrow. 🙂 pinned! As always thank you so much!! They are simply elegant–and such a great quote! I just wanted to let you know that I love your VT printables…I use them every month! Thank you! !